A recent survey of hotel guests across the United States indicated that the #1 thing that hotel guests asked for in-room was Free Wi-Fi, but what do they want you to provide them in terms of Hotel TV? With all of the electronic devices today, laptops, iPods, iPads, DVD players, etc… many if not most travelers bring their movies with them. PPV is no longer an amenity that is on lists of top requests. Your hotel guests are expecting that since they are paying to stay with you they will be able to have an experience in your hotel that is at least as good as what they have at home. Your Hotel may have HD TVs but still be providing standard definition . SD looks grainy and pixelated on a HD TV. Hotel head end systems often have as few as 24 channels and that has to include the locals. Your guests have much more variety at home and they expect it from your hotel TV today. What do your guests want in Hotel TV? Recent surveys of hotel guests give a clear picture of what hotel guests are asking for from the TV in their room. Your guests want Free-to-Guest (FTG) Hotel TV. – Pay per view is simply not an option for hotel guests and not profitable for hotels today. Guests have free and low costs options available through their tablets, laptops and smartphones. They want high definition flat screen TVs like they have at home. – 80% of homes in the US have high definition TVs today. The average size sold in 2013 was 50+”. Will your hotel guests be satisfied with an old standard definition TV or a 32″ HDTV? – With satellite TV providers such as DIRECTV offering over 160 channels in high definition, hotel guests are not going to be satisfied to have only a handful of channels in standard definition. Your guests want to be able to interact with the TV. – Apps for social media and welcome screens with information about events in the hotel, local events, local restaurants, hotel checkout and weather are the most commonly requested interactive features. They want your Hotel TV to provide more entertainment & information than just TV programming. Guests have many options in terms of watching video content while staying in your hotel. Research shows us that hotel guests carry an average of 2 electronic devices capable of playing video content (laptops, tablets, dvd players, and smartphones) and are simply not spending money on pay TV in hotels. Hotel guests expect the property they are staying in to provide them with a great selection of channels from news (Fox, CNN, MSNBC, etc…) to sports (ESPN) to movies (HBO. Showtime) and they expect to be able to view those channels for Free. Today over 80% of all homes in the US have HD TVs. Coming into a hotel room and seeing an old CRT TV with a fuzzy picture is a complete turn off. Guests want to see a HD flat screen TV in their hotel rooms. I recently checked into a luxury brand hotel and was greeted in my room by a beautiful 40” LG TV. I picked up the LodgeNet (now rebranded as Sonifi) remote and what I saw was 24 channels including the 12 locals being broadcast in standard definition programming. As you probably already know, standard definition channels look worse on a HD TV than on an old standard definition TV. It was very disappointing. Many hotels, even upscale properties, are installing HD TVs but keeping the old standard definition programming because of the cost of replacing their hotel headend TV system and increased costs for programming from cable and other providers. Guest want the variety of programming they have at home. As disappointing as checking into a hotel and having a fuzzy picture, not getting to see my favorite shows because the hotel only has 24 channels available on their head end television system is even more disappointing. Like us, you probably have 100+ channels available in HD at home today. Providers such as DIRECTV have packages that include more than 160 channels in HD including News, Sports, Food, Entertainment, Movies plus all the locals. Hotel guests expect the same programming they have at home. In-room messaging with hotel staff, events happening in the hotel, guides of local businesses, concierge services, valet, maps, local restaurants & attractions, and social media apps are among the most requested services in hotels. Being able to access those services via the hotel TV is an amenity that most guests have said they desire and enjoy. Guests carry many different electronic devices today. More than 90% carry at least one of the following: Laptops, Smartphones, Tablets like an iPad, media players such as an iPod or DVD player, and gaming systems. As many as 15% of business travelers carry 4 or more of those devices! What hotel guests are asking for is to be able to view the content from those devices on your Hotel TV. Hotel guests are also often requesting the ability to access subscription services like Hulu, Netflix and Pandora through the Hotel TV. Social media sites such as Faceboook and Twitter are a big part of everyday life for your guests and are a great app to offer on your hotel TV. More and more hotel guests are asking to be able to have the DVR functionality they have at home in their hotel room. They want to be able to pause live TV so they can make a call or take a shower, to record a show so they can watch it when they return to the hotel at night or on their own time frame. According to USA Today, remote controls in hotel rooms can be one of the filthiest items in a hotel room. Hotel guests are asking for options. 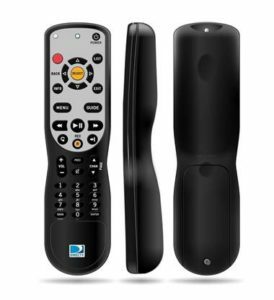 Personal remotes, anti-microbial finishes etc… that can ensure they have a clean remote. When it comes time to upgrade your hotel television system to provide your guests with the Hotel TV experience they are asking for, Its All About Satellites has 16 years of expertise in providing systems to fit the needs of all types of hotel properties.